The Neenah Joint School District Hall of Fame was established in the spring of 2014 and inducted its inaugural class on homecoming weekend in the fall of 2015. A 15-member committee has been established to select the Hall of Fame class. Nominations for next year's Hall of Fame class are now being accepted through November 30. Nomination forms are available through a link on this page and can be submitted online or by mail. 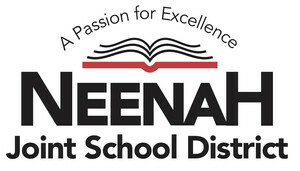 Throughout the long and storied history of the Neenah Joint School District, a “Passion for Excellence” has been the inspiration for many extraordinary performances by student-athletes, for a vast collection of exceptional artistic, musical and literary creations by young students, and for the academic achievements of aspiring scholars. It has also been the motivation behind important careers of service to the NJSD as teacher, coach, administrator, parent, booster and volunteer. It has been the cornerstone to the remarkable lives of countless Neenah alumni. It is the mission of the NJSD Hall of Fame to recognize Neenah students, alumni, staff and others who have distinguished themselves through athletic, academic and artistic pursuits, by contributions to their profession or field of study, in their service to the NJSD, and through important contributions to their community. By honoring these fine people, the NJSD Hall of Fame hopes to inspire current Neenah students in every facet of their young lives. Nominations for the 2019 class are accepted through Nov. 30, 2018.